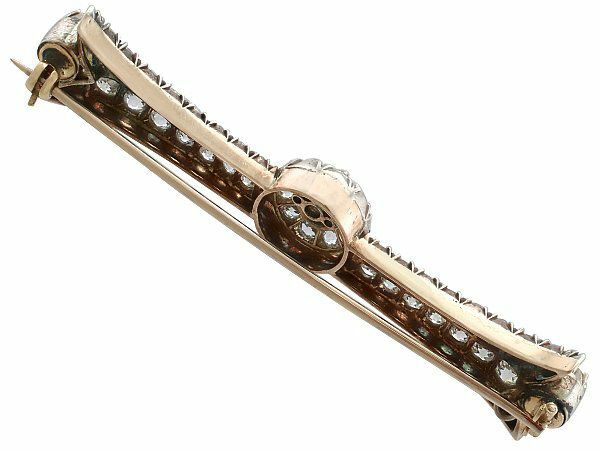 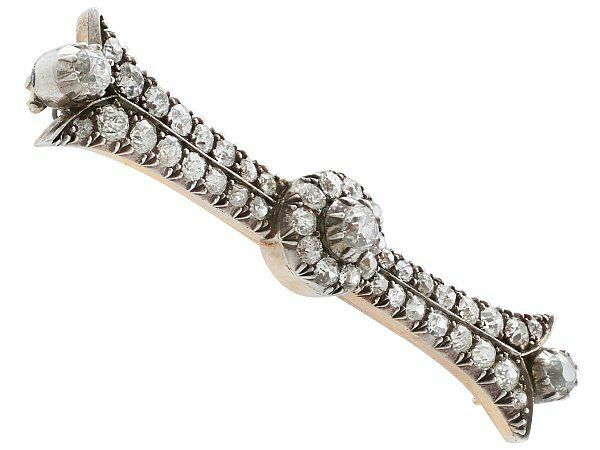 This exceptional, fine, large and impressive antique diamond brooch has been crafted in 10 carat yellow gold with silver settings. 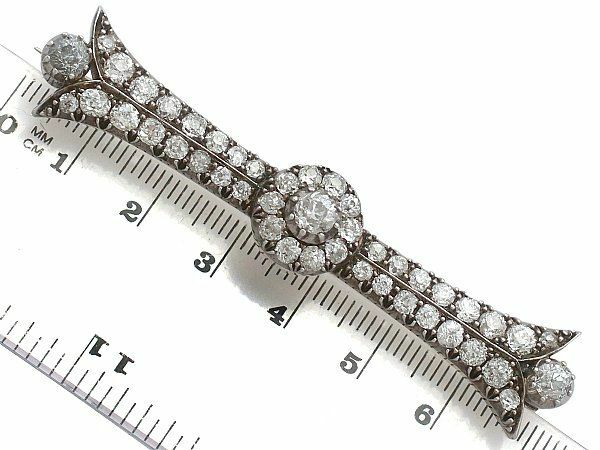 The feature Old European round cut diamond is collet set in subtle relief to the centre of the silver pierced decorated circular frame encircled by a further ten Old European round cut diamonds. 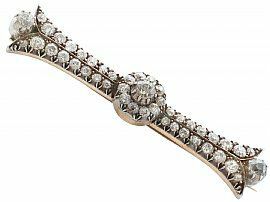 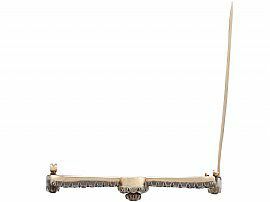 The linear frame is ornamented with two rows of Old European round cut diamonds at either side of the central cluster. 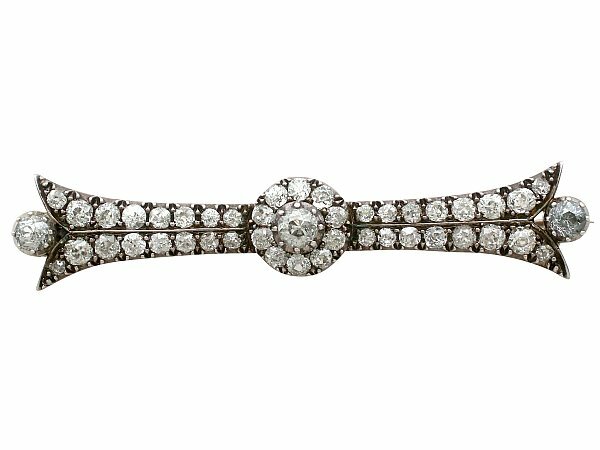 The brooch's conjoined rows bifurcate outwards at each terminal; a further collet set contrasting darker coloured Old European round cut diamond sits within the forked frame at either end. The brooch is supplied with an independent diamond grading certificate for the central diamond in addition to the independent diamond grading report card shown. 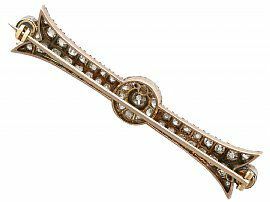 This 1900â€™s brooch has been independently tested using state of the art technology (Niton XL2 Analyzer) and verified as 10 ct gold. 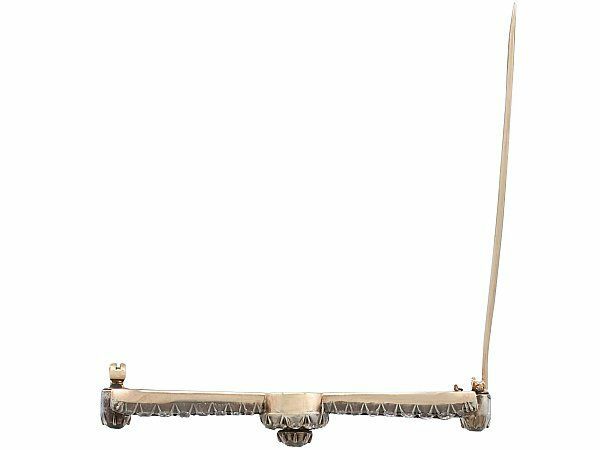 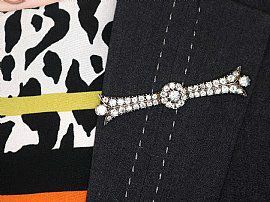 Length of Brooch 7.1cm / 2.79"
Width of Brooch 1.2cm / 0.47"